Number flash cards are basic mathematical tools that no teacher or educator should be without. Boldly numbered from one to one hundred in leak-free black ink, our math flash cards are made from durable card stock paper. 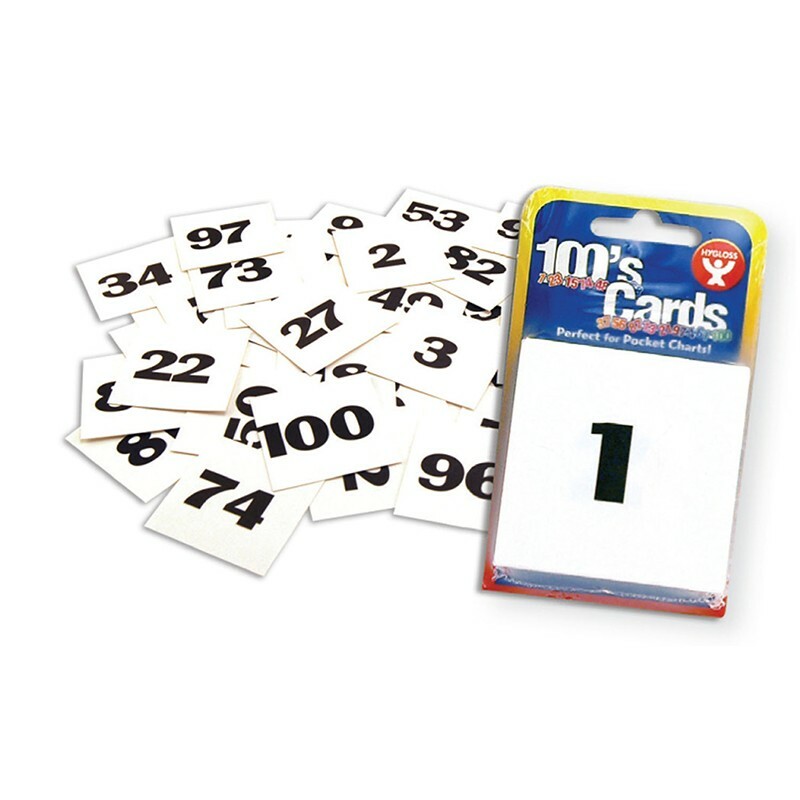 These 2"x2" sturdy white number flash cards will help children young and old learn fundamental lessons about numbers and operations. Use in conjunction with a pocket chart or alone to teach important mathematic principles. From simple addition to more complex multiplication and division, number flash cards give you all the variety you need to create hundreds of specialized equations appropriate for each child and every situation. Individual math flash cards can also be used to represent larger numbers for more complicated equations. For example, the one card can stand in the 100's place and become one hundred, automatically advancing the level of difficulty and the usability of your math flash cards. With a little ingenuity and the right tools, even math can turn into an exciting learning experience for your kids. Go on a number hunt with young children. Hide number flash cards around the classroom, and have the class search them out. When all the numbers are found, see if they can put them in the correct numerical order. Older kids will enjoy games such as What Comes Next, in which they have to complete a number sequence, or relay race problem solving. From learning to count to calculating complicated computations, number flash cards make the process fun and exciting for kids.